Since 1932 the Taconic Hiking Club has sponsored trips throughout the Capital Region and beyond, with an emphasis upon the Taconic Crest Trail. The club offers outings in all skill levels, so there's something for everyone. 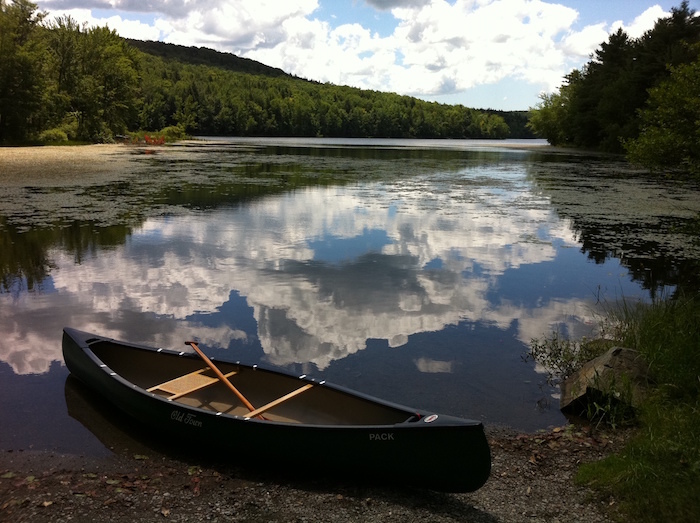 Our primary responsibility is to maintain the 37-mile long Taconic Crest Trail. Toward this end, we work in conjunction with New York’s Department of Environmental Conservation (DEC) and Massachusetts’ Department of Conservation and Recreation (DCR). The Taconic Hiking Club is the sole agency able to patrol and maintain the entire length of the trail and report conditions to all other agencies involved. The trail, which crosses back and forth through New York, Massachusetts and Vermont, was originally established by the club in the 1940's. It has since become a formal, state-recognized feature along the MA-NY state border in the Taconic Mountain Range. Only a 45-minute drive from Albany, the trail offers hiking in a variety of settings throughout the seasons. Berlin Mountain, which offers breathtaking views, and the Snow Hole are just two of its outstanding features.